Lebanese writer Kahlil Gibran’s poem “Pity the Nation”, published posthumously in the book The Garden of the Prophet in 1933, inspired both English journalist Robert Fisk and Beat Generation poet Lawrence Ferlinghetti. While Fisk’s book, eponymously titled “Pity the Nation” (1990), is an account of the 1975-1990 Lebanese civil war, Ferlinghetti’s thought-provoking poem (2006), in a riff on Gibran’s, is a searing call to action which still remains very relevant today, especially in my country, Brazil. Barbara Ganley’s (the bg from bgblogging) invitation to take part in the Guest Series: Food Stories: Memory, Culture, Perspective of her Open View Gardens project took me back in time and roused me from blogging torpor (slow-blogging would be an overstatement), challenging me to mobilize my almost forgotten composition skills. I first met Barbara online around 2003, in the early years of edublogging and followed her journey from a distance, through her photographs and thoughtful posts. Six years later, in the spring of 2009, she gracefully hosted me at her cosy home in the spectacular Green Mountain State. She had just stopped teaching contemporary creative nonfiction at Middlebury College and was launching the Digital Exploration project, whereas I had gone back to teaching EFL at high school after a sabbatical year and was traveling in the US following my keynote “Beyond Bits, Bytes, Pixels and Sprites” for the 56th NECTFL conference in New York. Growing food grounds us in the relationships between earth and nourishment; preparing food brings us into relationship with our culture and community; sharing meals brings us into close contact with those gathered at the table with us. What better way to build healthy inclusive communities than through growing locally and cooking globally? I’ve discovered how to weave together the various strands of my interests and abilities as I grapple with the relationship between the local and global: through a new LLC, Open View Gardens, I’ll be combining writing, photography, storytelling,– and my two other creative passions: cooking adventures and gardening. While Barbara and I share the same name, pursue many of the same interests, and have embarked on a similar quest, our cultural context, experience and past trajectories are very different. I have not yet been able either to bring together all these bits, bytes and sprites and connect the dots. Her call, however, gave me the opportunity to focus, try my hand at some creative nonfiction, which I had been contemplating for some time, and reflect on the process. The result is the brief essay and video “Back to the Roots”. The text depicts a garden, a season, a perspective, an awareness, a soupçon of Brazilian culture and introduces the reader to a national staple food: cassava. The “Back to the Roots” video, which I uploaded to YouTube, illustrates and complements the text with images and sound. It is an iMovie collage of my own still photographs taken before and after the frost, displayed with slow zooming and panning effects (Ken Burns), and combined with a short video I shot of Clarice, our housekeeper, who dug, washed, peeled, cooked and fried the cassava you see in the film. I used the the Olinda Original Style font for the titles of the cover and credit slides to evoke the idea of back to basics. While I was searching on Jamendo for free music to go with it, I was very lucky to spot Tata Accioly, DJ and percussionist, also known as TataOgan. Coincidentally (and appropriately) the song I found is called “Exodo Urbano” (Urban Exodus), from her first solo project Da Raiz ao Chip (From Root to Chip). Tata’s sound experiments incorporate an eclectic mix of regional Brazilian folklore, Afro-Brazilian and Indigenous elements and ancestral drums combined with the synthetic beats and grooves of electronic music. [She reaches] the “electronic roots”, like a jam session of farmers using their shovels, axes, and knives as musical instruments, or even indigenous rituals harmonically programmed with computerized beats. 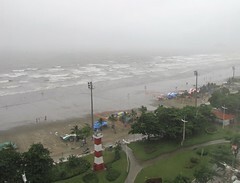 Here are some bits and bites of a Brazil so large and culturally diverse that an attempt to connect the dots and communicate its hybrid nature, landscape and people must necessarily come through juxtapositions and mash-ups. Many thanks to Rudolf Ammann for his tips on language, layout and design. Like D’Arcy Norman in his post “Bags of Gold”, I have been pondering over Gardner’s figures of speech. 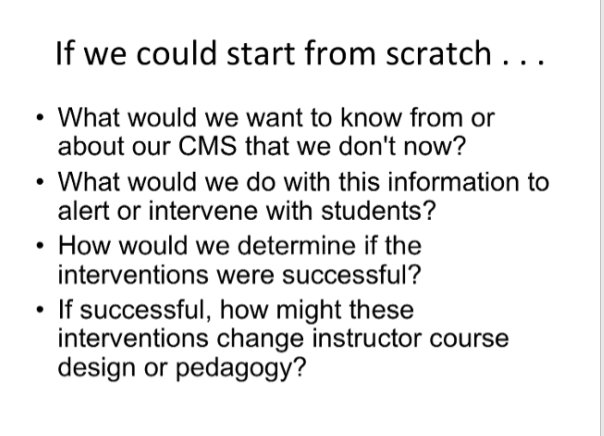 Over the 48 minutes the video lasts, I was constantly reminded of how “American” the pitch and rhetoric sounded to me and wondered how given cultural icons/inferences influence this particular edtech sub-culture discourse and practice and how they strengthen/weaken it. In order to have a better picture of the whole , I have noted down the words by subtitling the video at Universal Subtitles (corrections welcome) and jotted the main points, which now I transfer to the wiki I opened for ds106 in case someone is interested in/has time to deconstruct it. Instead of responding “on the fly“, I decided to “switch off” the blasting radio :-), engage in other things that were “programmed” to be done and , in the meantime, observe the reactions of others. Under the pressure to produce and consume, it is difficult to find slow time to sit back, watch and reflect. Megan Eichenberg’s New Digital Storytelling Project, which records her grandfather’s stories and perspective on life being stretched or reshaped by Alzheimer’s Disease, is a great example of how digital storytelling moves away from narcissism. Leigh Blackall’s post on Lucrative Teaching and illustration on Flickr has definitely hit a nerve, which is positive as it makes people justify their positions by looking deeper at the variables involved and discuss issues which are often not taken into account when you focus on technology alone without considering a wider social and cultural context. One cannot deny social media does encourage a cult of personality and profiteer marketing. Not saying this is the case of the people involved, but as Chris Lottmentions, the incident provided a teachable moment in critical thinking and is a useful reminder of what may happen when an “outsider” challenges the group’s mores. So, almost two weeks late on the assignments, I decided to merge the second and third in this collage, borrowing ideas from O’Reilly’s definition of Web 2.0, what other participants have written, cutting up sentences from Gardner’s presentation : No Digital Facelifts, matching them to snippets of songs, finding pictures to illustrate them and finally reducing this to a 3.0 minute video snippet which I have posted to my server and YouTube. I have used Peter Shank’s Flickr CC to find photographs under a CC License, Audacity for the song and presentation clips, Open Office presentation slides with text converted into jpg to be thrown into iMovie and songs (mostly snippets of proprietary ones..argh..hope it’s fair use as it’s for educational purposes) as musical backdrop. Videos were converted into music and/or mp4 with Miro Converter. 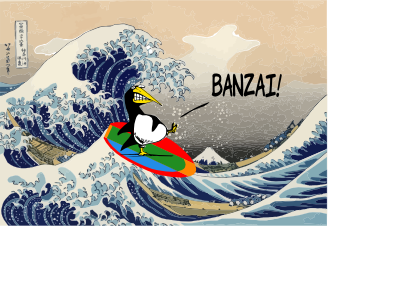 Also used Inkscape to remix Hokusai ‘s Koshu Kajikazawa net art. Juggling with two courses online which are so totally unrelated and switching from one mindframe to another is not easy. Who knows in this way different synapses and areas of the brain will be activated :-). At my age this is vital. So here I am out of the box of variables and accountable “taylored” algorithms for measuring productivity to engage in tinkering to produce a storytelling exercise for Jim Groom’s ds106 course. Lisa Lane made an excellent post summarizing and reacting both to Professor Gardner Campbell’s short article titled “A Personal Cyberinfrastructure and his thought-provoking presentation at the 2009 Open Education Conference called “No More Digital Facelifts: Thinking the Unthinkable About Open Educational Experiences”, which Tom Woodward brilliantly remixed in audio. My first story is very simple and it remixes photos I took when I traveled to Buenos Aires last April and visited an adorable design shop full of fun household objects, among which Etelvina, who was made into the main character of my story. 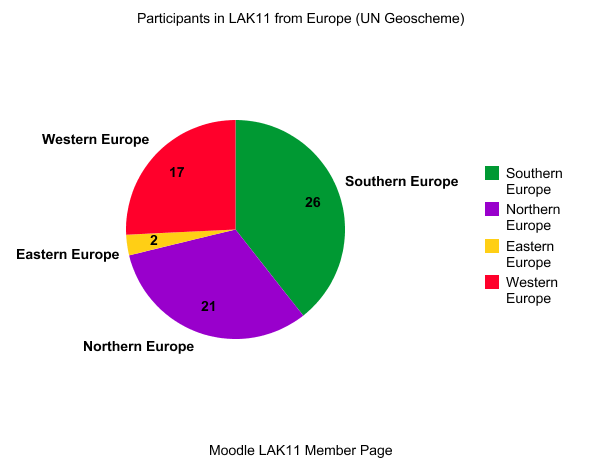 As I browsed through and responded to the different introductions posted on the LAK11 Moodle forum, I noticed with satisfaction that many participants came from countries other than the US, UK and Canada, with a larger contingent than usual from non-English speaking countries in Europe, South America and Asia. As Stephen Downes mentioned in the first Elluminate recording, a connectivist course is based on 4 pillars : autonomy, diversity, openness and interactivity. I’m going to focus on cultural diversity in this post, which I deem critical in education. Each country has its own educational system, cultural and social norms + expectations which should be taken into account, especially when it comes to finding out what questions are to be asked when building/using tools which gather data, to choosing the right variables, to analyzing and to interpreting data about learners, based on which suggestions are made and many times decisions taken. I believe there is no perfect algorithm, no best way or one best method but many. The assignment given for week 1 of playing around with Hunch has shown it eloquently. Participants expressed many times, among the privacy and ethical issues, the annoyance at the inaccuracy and the US-centred nature of the suggestions, the lack of cultural recognition and the targeted US advertising. First, I tried to count (manually) the number of participants from the introduction forum, which would be a gauge to who had made that first step instead of just enrolling. So, (if I have managed to count correctly) out of 228 enrolled members (to this date and time) , 201 have already introduced themselves. Moodle must certainly have an easier way to collect this data but I cannot access it. Google Learning and Analytics group shows 587 members – so I suppose many are following from a distance. 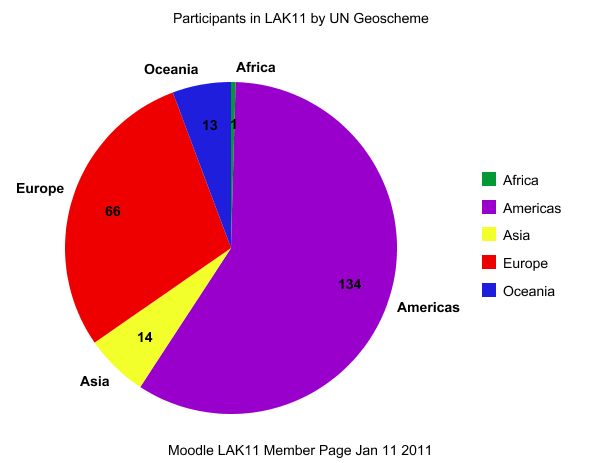 As to participants by country, I encountered the same difficulty but managed to produce a graph made online with the online graph maker young kids use at school. (Yes, I am at that level of expertise as math and stats are not my thing, but I am hopefully slowly improving my skills). The graph is primitive but allows me to go over some basic notions and gives you the opportunity to visualize better how participants are distributed by regions. As a learning by-product, and extra time-consuming task, I found out that continents are defined by convention and than their number depends on the country where you are studying, which again shows that visions of the world depend on where you stand and which way you look. For Latin Americans, the world is composed of 6 continents while for China and most English-speaking countries the number seems to be 7. This obviously did not make my life easier when trying to classify the countries and insert them into continents so I decided to use the UN Geoscheme as reference, which starts with 5 main regions. 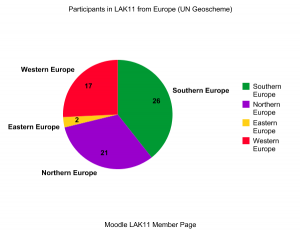 Here are some of the approximate results of this hunting-gathering data phase, which does nevertheless give you a rough idea of the world inside Moodle. Please correct me if you find gross disparities or if a country has been left out. 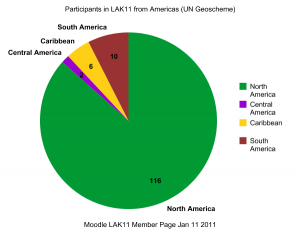 Americas are well-represented but out of the 134, 116 are from the North. Asia comprises many different countries (Cambodia, China,Kuala Lumpur) including the Middle East (UAE, Quatar, Israel, Turkey) and sports usually 1 per country except for Iran, Israel, China and India (about 2 and 3 per country). In Oceania, 11 are from Australia and 2 from New Zealand. There are 58 US and 48 Canada members. Puerto Rico comes next with 6 members, Brazil (5), Mexico (2), Chile (2), while Ecuador, Mexico, Argentina and Guyana have 1 member. In Europe an important representation from the UK (13 with quite a number of Scots), Italy (9), Spain (6), Belgium (5), the Netherlands (5) , Portugal(4), Germany (3), France, Estonia and Ireland (2), and Finland, Sweden, Czech Rep, Romania, Ukraine, Croatia (1). b) George Siemens (& all) Learning and Knowledge Analytics (#LAK11), “an introduction to the growing field of analytics in teaching, learning, training, development, and organizational knowledge”. Both are of the MOOC kind, in that they are free, open to the contributions of a wider community and descentralized. While there are some suggested meeting and discussion places, they do not confine learners to an LMS but let them participate in any forum and format they prefer. PS. : A better rendition of the same remix can be found in svg at http://data.tawawa.org/gfx/surfsup02.svg and http://data.tawawa.org/gfx/surfsup02.png. It would be nice to make an animated gif out of it but I do not have knowledge of the tools needed nor the required skills. Anyone help? I took a hiatus on Beespace. 2010 was a year without posting or recording impressions here. I needed sanctuary, nourishment , slow quality time to retreat, read, remix and reshape priorities. Coming back now, unhurriedly, comfortably and at my own pace. Goodbye 2010. I’d like to offer you “A Thank you Note”, a poem by Wislawa Szymborska, a Polish poet and Nobel Prize for Literature in 1996.
they are closer to another. nor know how to take. what love does not understand. what love would never have forgiven. only a few days or weeks. My trips with them always turn out well. well known from any map. with a shifting, thus real, horizon. how much they carry in their empty hands. This is what the first day of 2010 looks like where I am. Impeccable weather to stay at home and reflect on the past and future decade and how to bring all this together to the present. Happy New Year everyone! How do YOU connect online? 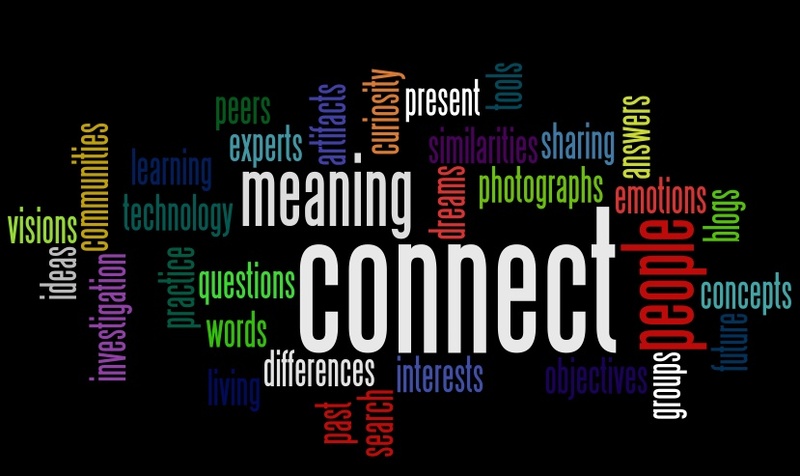 A quick brainstorm on Wordle generated this Word Cloud to answer D’Arcy Norman’s question. About a month ago, I submitted my answers to the questions posed by Tedx São Paulo in order to watch the first event, which expects to gather more than 600 people. We have been asked to answer a number of questions in order to be selected to participate. I have just received confirmation and here are my answers in Portuguese. I suppose I was inspired over my first cup of coffee in the morning. The underlying theme will be “what Brazil has to offer to the world”, following the lead of the 2010 TED “what the world needs to know”. O Brasil tem que mostrar sua cara, sua natureza e sua raça “que não tem medo de fumaça, e não se entrega não”. Tem a oferecer ao mundo um mundo de negócios, ciência e tecnologia, arte e literatura, beleza, talentos suculentos, tonalidades, musicalidades e paixão. Tem a oferecer o exemplo de um povo sofrido que da realidade fria na periferia, da alegria e do drama de todo o dia, dos progressos e regressos do samba da vida produz um carnaval; e no vendaval, no caminho longo e árduo da lida valida na esperança, a confiança de um futuro melhor. Perspectivas de diversos contextos, realidades e texturas, encontros para compartilhar uma visão e possível ação para um mundo melhor. Ao longo desses anos, uma família sólida apesar das diferenças e uma rede heterogênea e querida de amigos, um trabalho perseverante e criativo e a alegria de simplesmente viver. TED started by bringing together leaders from the Technology, Entertainment and Design but now invites people from all walks of life to contribute. TEDx is an initiative to stimulate encounters and conversations locally, following the motto: Ideas Worth Spreading.